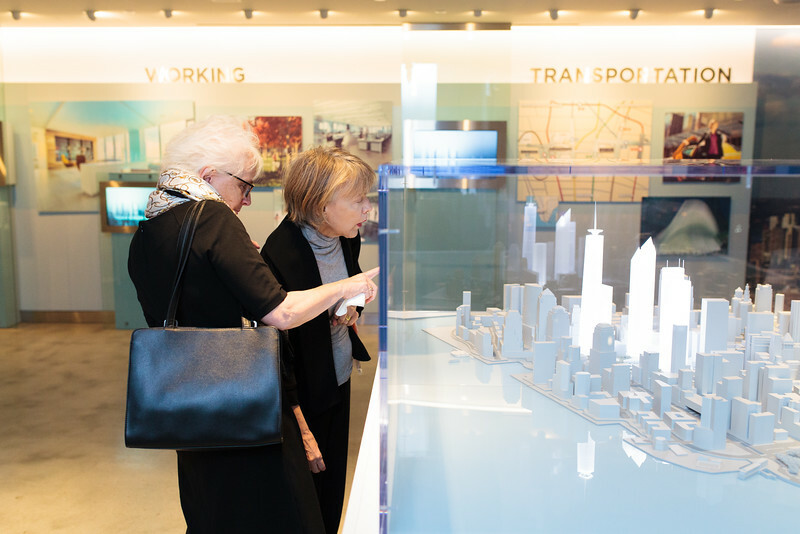 Guests looking at the 3D Model of the World Trade Center complex. 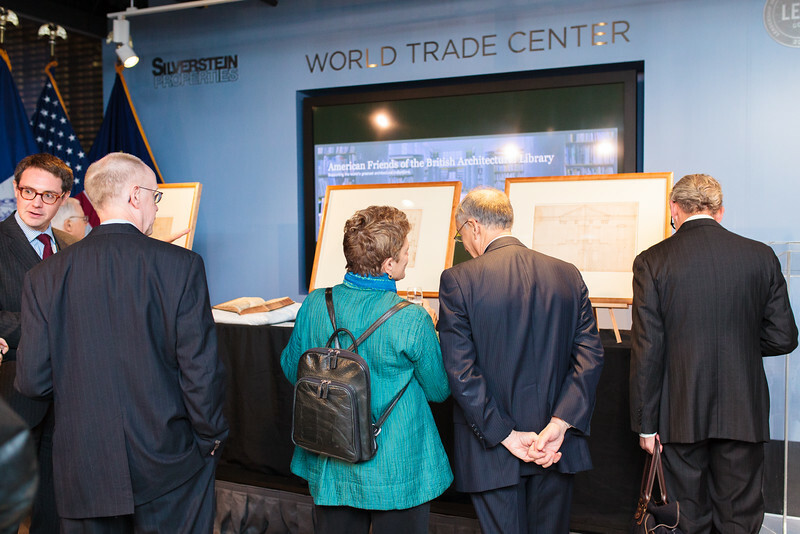 Architecture enthusiasts gathered at 7 World Trade Center on the first day of World Trade Center trading since 2001, to celebrate treasures from the British Architectural Library at a special event on Monday November 3rd 2014. 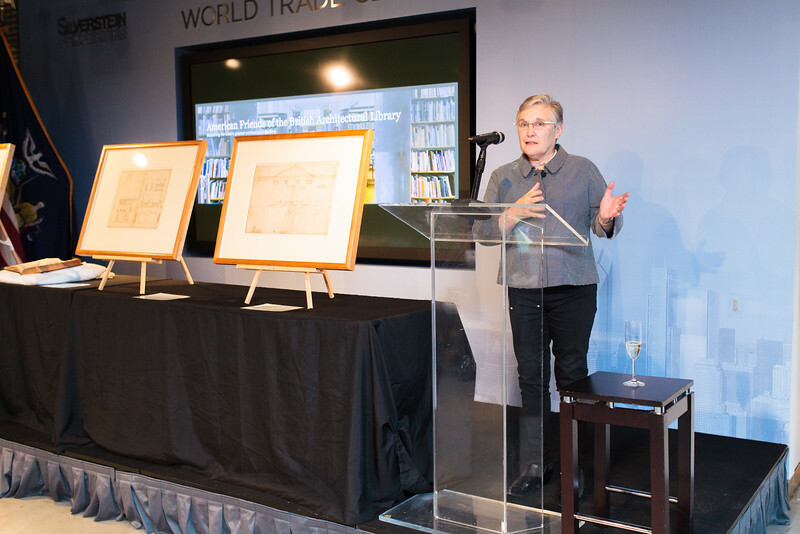 Hosted by Daniel and Nina Libeskind, along with the board of The American Friends of the British Architectural Library, guests were invited to view special treasures from the British Architectural Library collections, never seen before in the States. 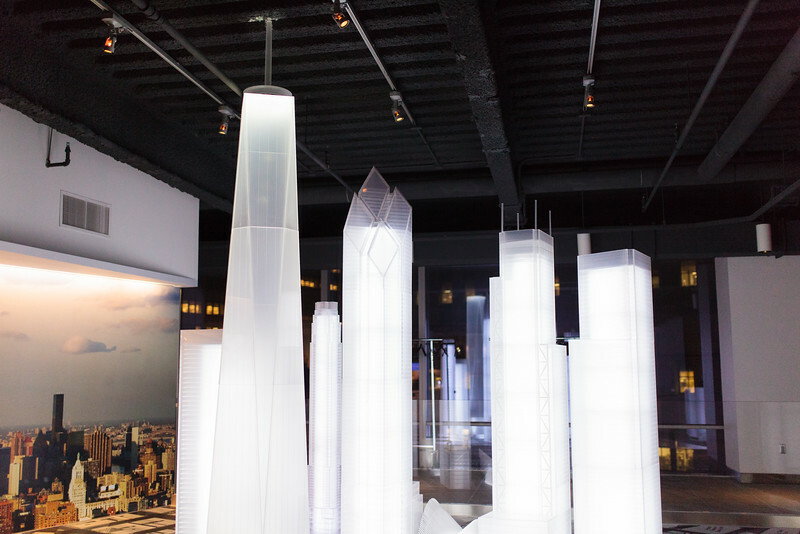 Here they were able to also enjoy views across Ground Zero, alongside models of the site in the event space. 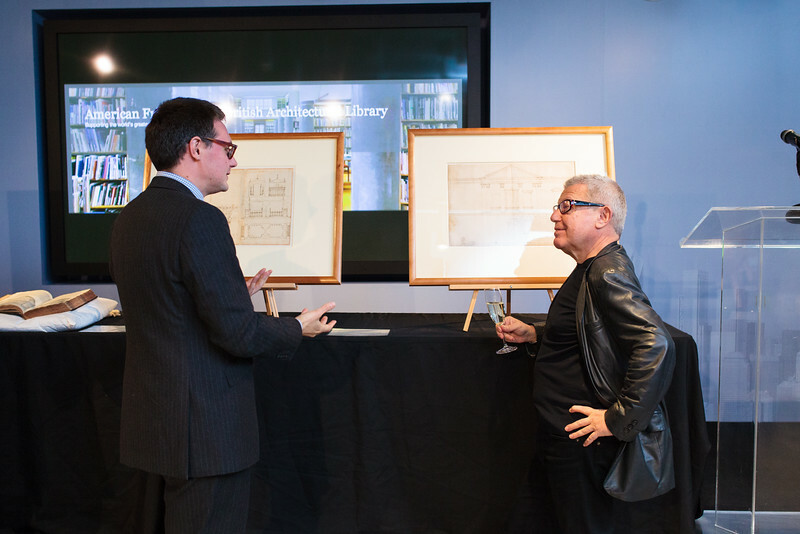 Following heartfelt words from Daniel Libeskind regarding the importance of the practice of drawing for architects and his support of the British Architectural Library and its collection of over 4 million objects, Nina Libeskind eloquently shared her experience of their time spent exploring the collections when in London. Kent Rawlinson, Head of Collections at the British Architectural Library went on to say a few words relating to the connections between the objects on view that Daniel Libeskind had selected from the Library which included original drawings by Raphael, Palladio and Inigo Jones as well as Jones’ copy of Serlio’s tome on Architecture. 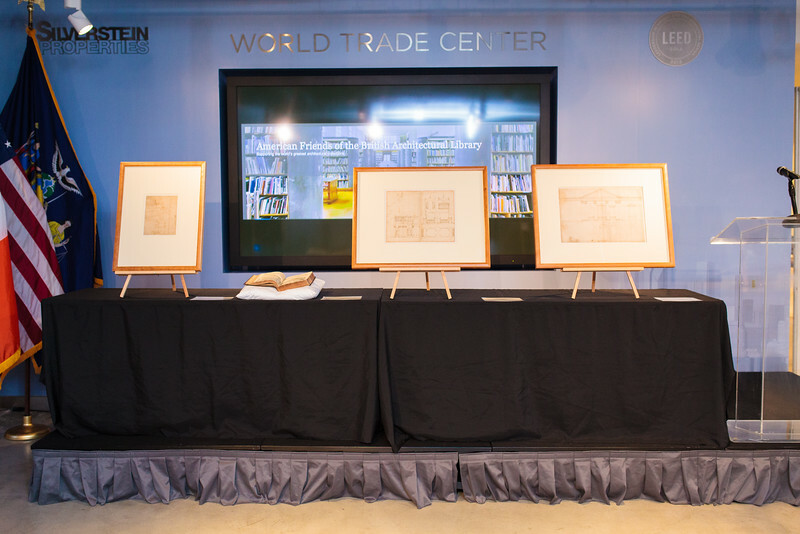 AFBAL Board Member and architect Edward Williams then conveyed the importance of supporting this extraordinary collection and the mission of the American Friends of the British Architectural Library, which is to increase awareness of this wonderful collection and improve access to US audiences. November 14, 2014 in Events.